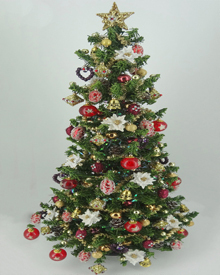 Beautiful Heirloom “One of a Kind” Regal Christmas Tree. 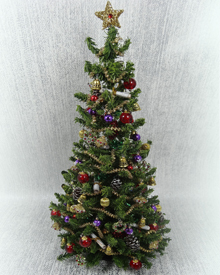 This adorable realistic Christmas Tree has a very Regal theme, it been dressed in rich reds golds, greens and purple. The tree has been completely handmade by the artist from start to finish, even the tree itself, who’s leaves were given a frosted appearance, so that the glisten when the light catches it. Painstakingly dressed, with gold plated baubles, gold plated garland, golden bells, golden jewelled hearts, red glass baubles, jewel encrusted glitter gold baubles, which sway upon movement. 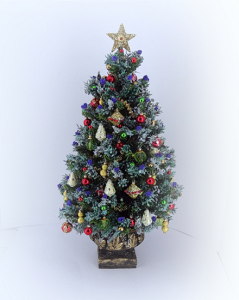 The branches have been tipped with and purple berries, it stands in an urn which has been covered in fine gold leaf and finally the tree has been topped with a twinkly golden star. The photo does not do this work of art the justice that this stunning tree deserves. 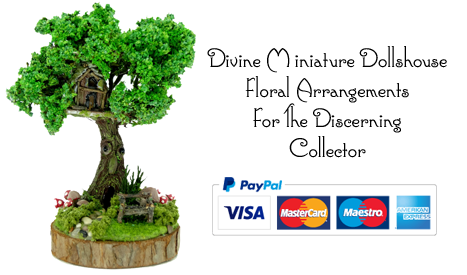 PLEASE NOTE: Each one of our tree’s is priced not just the size, but what baubles it is has been dressed with.